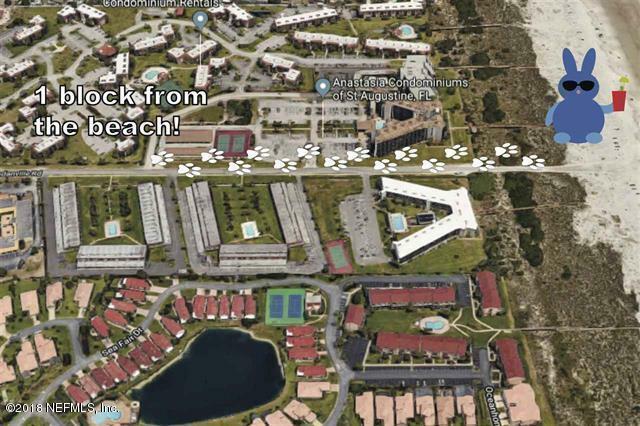 The reasons why Ocean Club is so popular are obvious: Literally ONE block from the beach and just steps to the club pool! This complex will check off everything on your list. You're also about a 10-minute drive from downtown, and within walking or biking distance to all the local favorites: Dining, bars, shopping, and more. 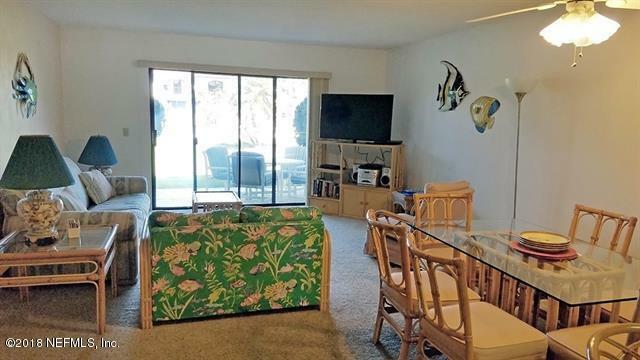 This townhouse-style unit comes with a highly-desired attached GARAGE for storing your beach toys. 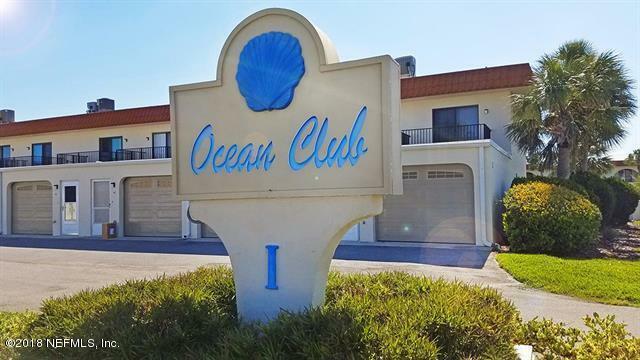 Fully-furnished, rental-ready condos like this one are rarely available!After the beach you have three spots to pick from to enjoy warm ocean breezes; this unit has a 1st-floor patio, and TWO 2nd-floor balconies, one off each bedroom. 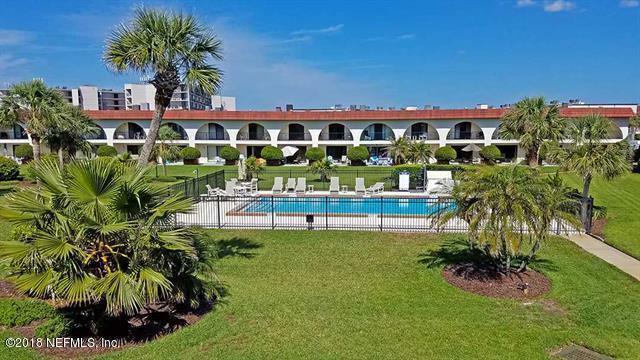 Watch the sunset from the second bedroom balcony, and enjoy pool views from the master bedroom, living room, and rear patio.This is a small complex, you'll get to know your neighbors well! This unit has already been re-piped and is in great condition. © 2019 Northeast Florida Multiple Listing Service, Inc. All rights reserved. The data relating to real estate for sale on this web site comes in part from the Internet Data Exchange (IDX) program of the Northeast Florida Multiple Listing Service, Inc. Real estate listings held by brokerage firms other than Ponte Vedra Club Realty are marked with the listing broker’s name and detailed information about such listings includes the name of the listing brokers. Data provided is deemed reliable but is not guaranteed. Data last updated 2019-04-25T00:24:21.88.